Hyderabad: The Government Hospitals may now see linkages with private medical colleges in the state as the State Health Department is looking to tie up with at least 20 medical colleges to use their infrastructure and run government hospitals, rather opening new ones. Besides this, State Government planned few reforms in the healthcare sector under the Kanti Velugu programme which includes strengthening of the cold chain system for preserving drugs and vaccines, focus on natural delivery and cutting down on C-sections and completion of free eye-sight screening of the entire population of the state. “So far, we have reached over half the target set for covering the 2.5 crore BPL population. 1.52 crore people have been screened and glasses have been handed over to 22 lakh people so far,” added the minister. So the teachers also will be regularised like govt employee and be payed 7th pay commission.? Very Good idea. I welcome this move. Finally patients to be benefitted free of cost. Govt should take over pvt medical colleges or nationalize all medical colleges as the nationalization of banks were done by Indira Gandhi. For that country requires visionary like indira gandhi . This is a non political comment. It is not clear the tie up is with private colleges or private hospitals, if private hospitals, they do not have recognised teacher. 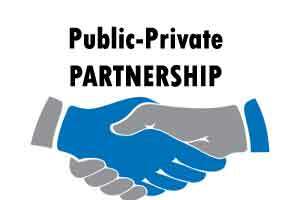 It\’s not clear whether the tie up is with private colleges or private hospitals.